Braising ripe pears in spiced orange juice results in tender fruit that's not overly sweet. When paired with creamy whipped ricotta cheese and crunchy granola, you have a dessert that's elegant, sophisticated and a little unexpected. A quick blitz in the blender with honey, vanilla and whole milk transforms supermarket ricotta into a whipped cream-like topping that's light as air. The dessert isn't too heavy, making it ideal for serving at the end of a dinner party. Prep the pears and sauce ahead of time, then stick them in the oven while you're eating your main course for perfect timing. 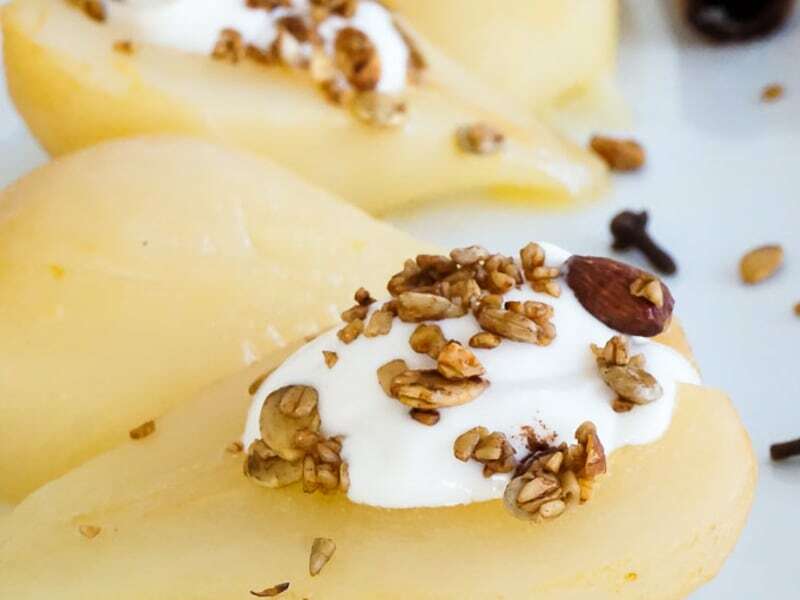 This dessert is great for entertaining since much of it can be prepped days in advance: the pears can be baked up to three ahead and chilled until you plan to serve them. Simply rewarm in a 325° oven until heated through, about 10 minutes. Make the whipped ricotta a few days ahead too, and refrigerate until ready to use. Per Serving: 367 calories; 9g fat; 64.6g carbohydrates; 9g protein; 14mg cholesterol; 59mg sodium. My wife bought a bunch of pears, so we decided to use what was leftover to make this recipe. The ricotta and granola topping was really good. Really delicious as a breakfast or dessert. I made this recipe and it was so really delicious! Eating dessert does not always have to equal fat and carbs! This was light and flavorful. I especially loved the honey whipped ricotta, which was phenomenal together with the pears. The granola on the top was like icing in the cake! 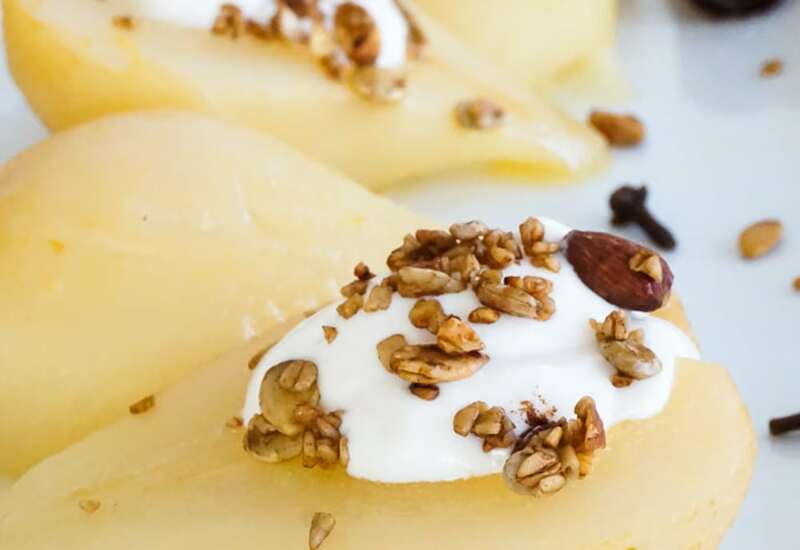 We had some leftover pears and decided to make this recipe. It was really easy and the pears turned out great. The whipped ricotta and granola on top were fantastic. Next time I'll probably double the batch!